TalentEgg Challenges | If you had the chance to create a National Marketing and Promotions Strategy for the re-brand of TalentEgg, what would your creative vision and strategy be and how would you execute it? Submission for this Challenge is now closed. Subscribe below to get early notifications when new Challenges launch! 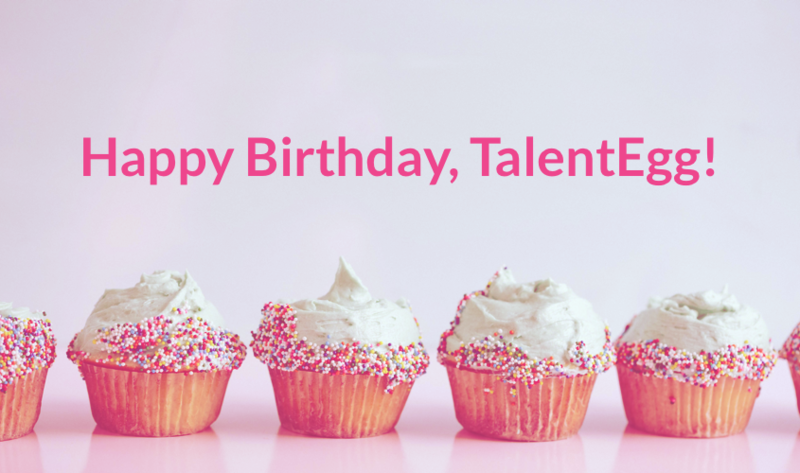 TalentEgg is turning 10 and we have an egg-citing Challenge for you! Create a marketing and promotions strategy for our 10 year anniversary re-branding and you could win $1000, plus a Paid Internship OR Contract Position with us! Your participation in a TalentEgg Challenge looks egg-ceptional on your resume, will help you gain experience, and build your portfolio! Application submissions are open until June 10th, 2018. June 11th, 2018 - Finalist Panel Interviews Begin! This challenge is unique as it utilizes our brand new video platform! Finalists will also have the opportunity to participate in a LIVE interview with a judging panel of HR and Marketing guru’s from Top Canadian Employers on our new platform! Follow the steps below to complete this challenge! Click “Submit Your Idea”. Be sure to watch the introduction video! Begin your submission by selecting the “Start Submission” button. Answer the 3 questions on our video platform to add to your final submission. Follow us on Social Media to stay up to date for finalist announcements! Focus on innovation and the latest most popular platforms and media to reach our audience. 2. Include a new initiative you think TalentEgg would benefit from that we haven’t explored. It can be a service to students/grads, a new technology, a new social media platform - the choice is yours! 1. Create a new TalentEgg slogan for students and recent grads AND early career professionals. 3. And give us your best egg-pun! As part of the submission process, you will need to answer the following questions on our video platform. Question 2: Tell us what you feel is the most important aspect of your marketing strategy and creative vision and why? Question 3: What element of your plan are you most egg-cited about and why did you decide to complete this TalentEgg Challenge? Tips for success: Rehearse ahead of time - you’ll have unlimited tries on the actual platform, but it doesn’t hurt to get comfortable in front of the camera!! Treat this video as if you were delivering this pitch to us in person! Ut scelerisque suspendisse a quam conubia suspendisse elit a a maecenas senectus gravida lorem dictumst nullam in mus condimentum parturient in venenatis condimentum consectetur a adipiscing. Penatibus iaculis facilisi in diam a molestie a elit ad curabitur risus hac adipiscing hac a.